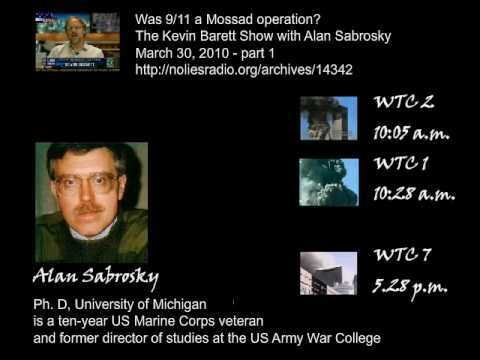 HomeCOMMENTARYAlan “Israel Did 9/11” Sabrosky: Most Censored Man in America? Who’s afraid of Alan Sabrosky? Whoever they are, they have the ability to monitor and censor YouTube live-streams in real time. And they apparently don’t want you to know what Sabrosky thinks about the Holocaust. It is really quite a tribute to Dr. Sabrosky and False Flag Weekly News that someone went to so much trouble. They must be spending far more money to monitor and censor us than we are spending on doing the show in the first place. Talk about asymmetrical information warfare! If I were a paranoid conspiracy theorist, I would wonder whether the Christchurch attack was a set-up to roll out the beta testing of precisely this sort of censorship. I would note the incongruity of the fact that the people pushing for internet censorship are almost all Zionist Jews, not Muslims—yet the censorship is being rolled out on the pretext that it is supposed to protect Muslims and “honor the sacred Christchurch victims.” Since when did Zionists care about Muslim lives? They proudly slaughter a Christchurch worth of Palestinian Muslims every month or two. And they have murdered 32 million Muslims, and created tens of millions of refugees, in the 9/11 wars for Israel. If the perps were hiding their identities while orchestrating Christchurch and the internet censorship campaign it launched, they dropped the mask when they silenced Alan Sabrosky. We all know who reacts reflexively against “Holocaust denial.” And we all know who hates Alan Sabrosky, the former US Army War College Head of Strategic Studies, who came out as a 9/11 truther on my radio show in March, 2010—and announced that Israel did it. “Somebody” apparently doesn’t want Sabrosky on False Flag Weekly News, either. Last January 4th Alan Sabrosky made his debut appearance as a regular FFWN co-host. The audience gave him a huge thumbs-up. But when he tried to return on a regular basis, his computer suddenly started coming down with bizarre ailments. It always seemed to happen right before the show. His computer would be working fine, and then suddenly WHAM—it would melt down right before broadcast time and we’d scramble to find a replacement. This has happened so many times in the past three months that I have lost count. Tech experts who have tried to solve the problem say Sabrosky is the victim of a highly sophisticated cyber-attack. It was only this past Friday, March 22 that, after elaborate precautions, we were finally able to get Alan broadcasting again on FFWN. And miraculously enough, he somehow got through 58 minutes of live-streaming before they cut his mike.